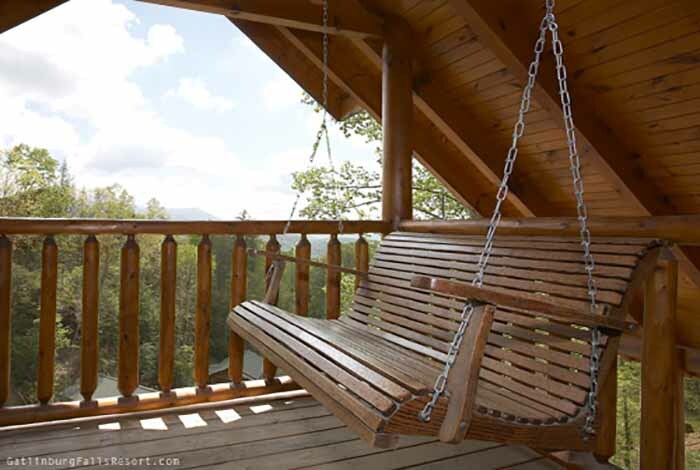 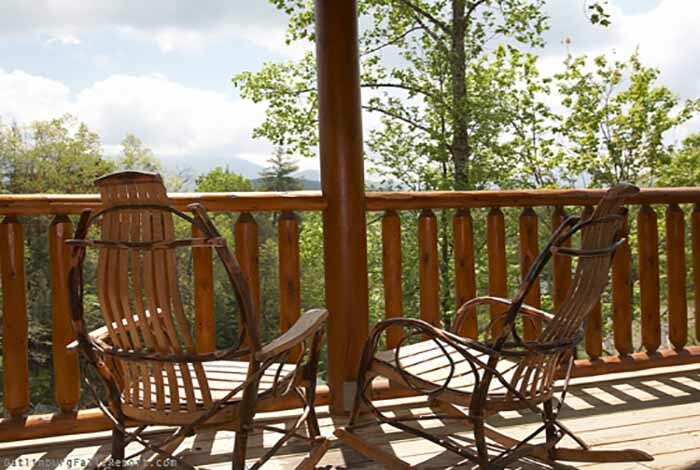 The Smoky Mountain views from the porch swing of Daydreamer’s Delight are evidence that this cabin truly lives up to its name. 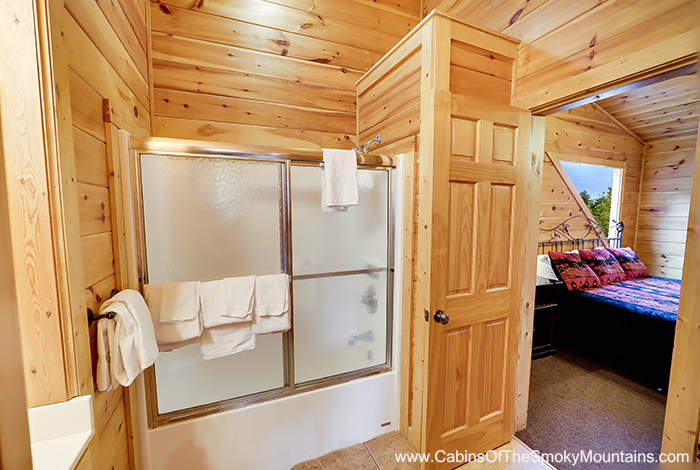 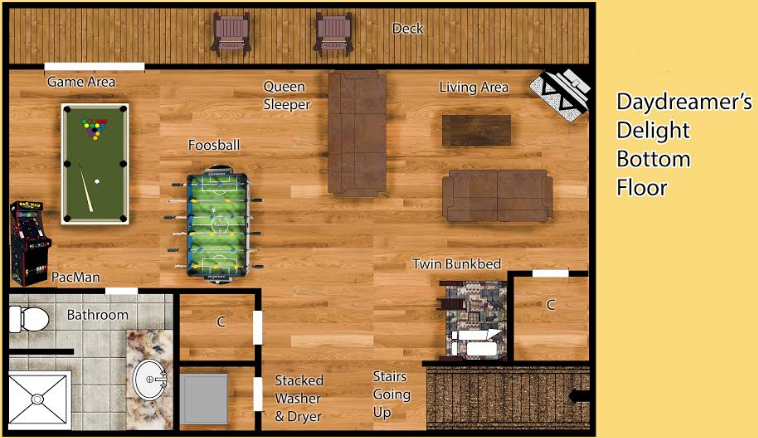 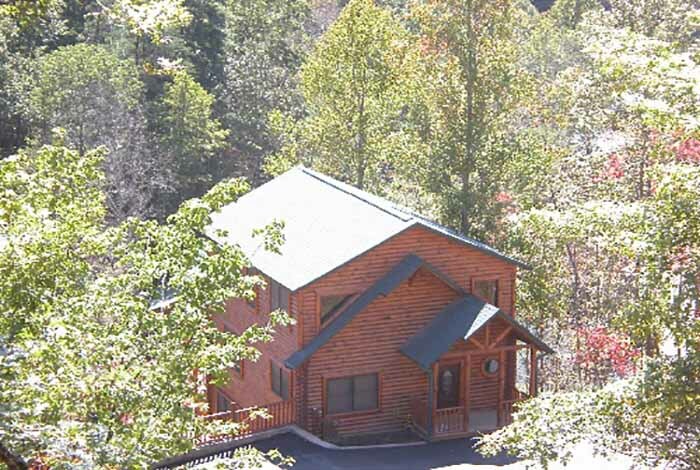 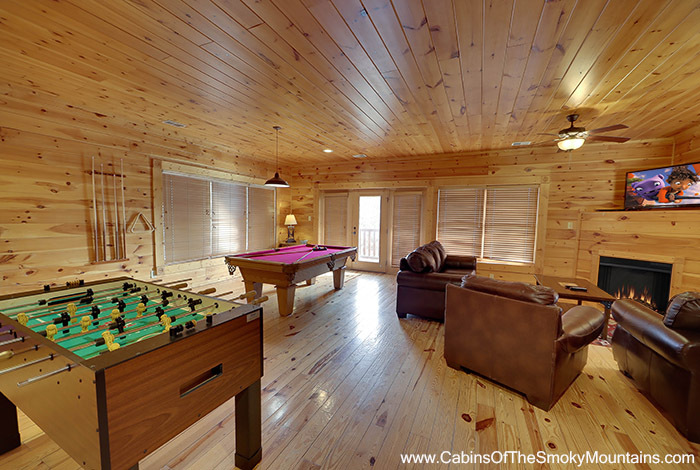 Located in the beautiful Gatlinburg Falls Hidden Valley Resort, this cabin offers luxuries that few other 2 bedroom Gatlinburg cabin rentals can match, such as 3 full bathrooms, 3 floors of living space and sleeping for up to 12 people in its 2 king beds, 3 sleeper sofas, and twin bunk beds. 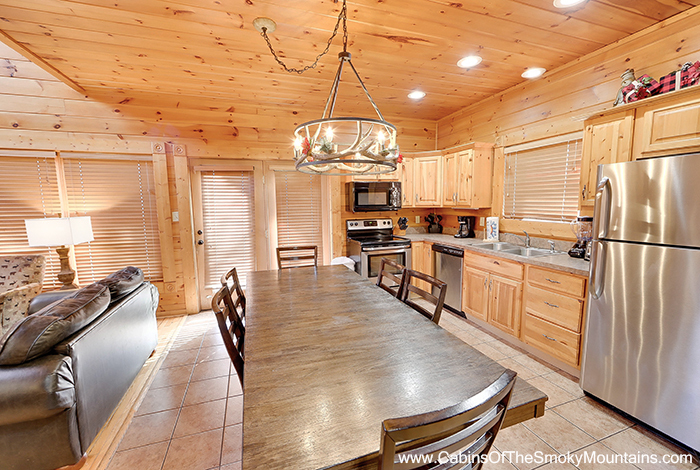 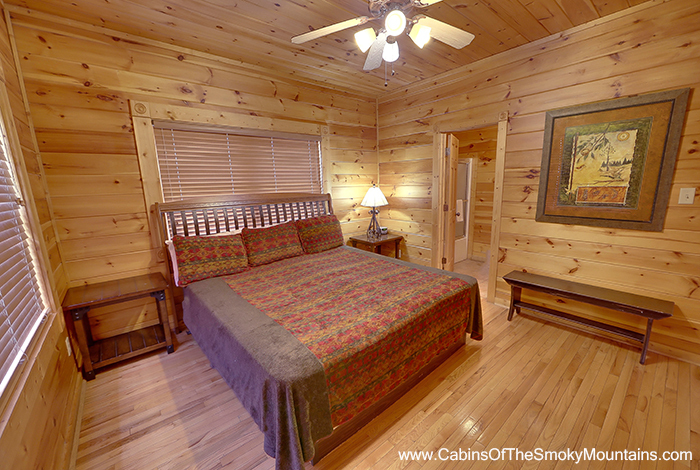 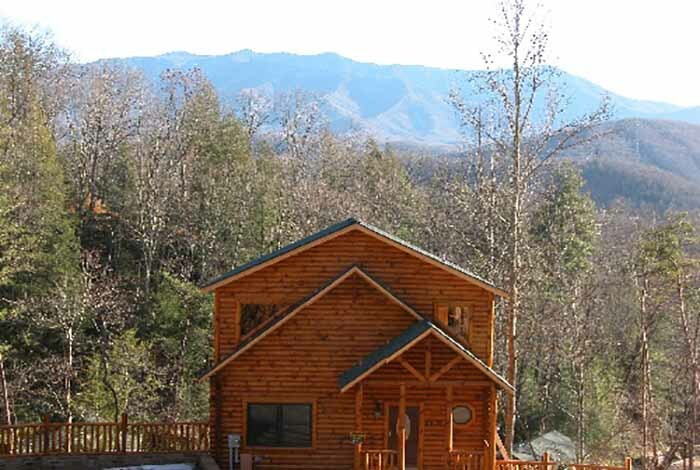 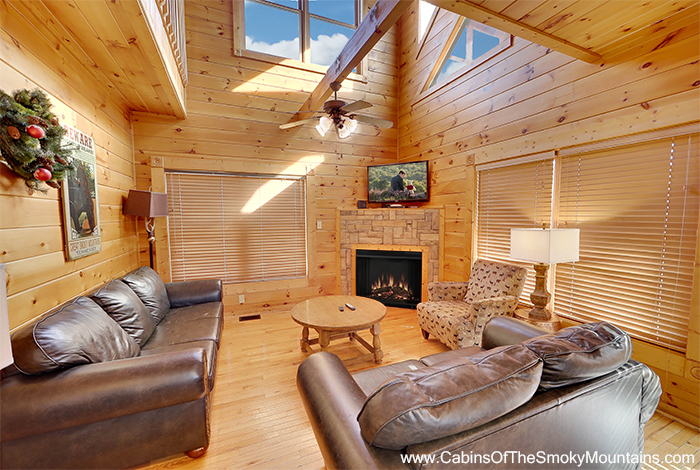 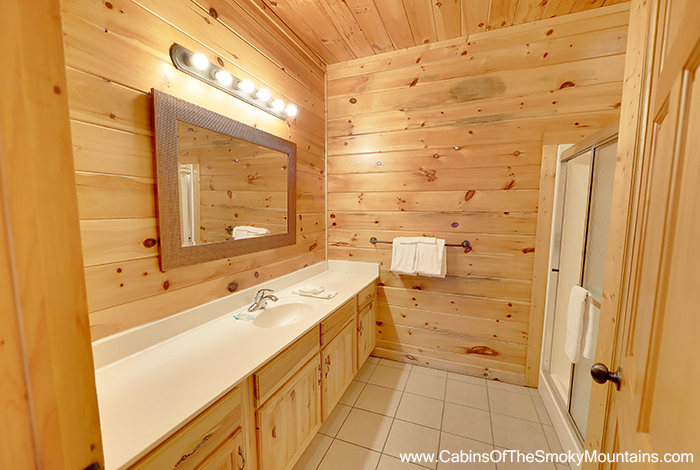 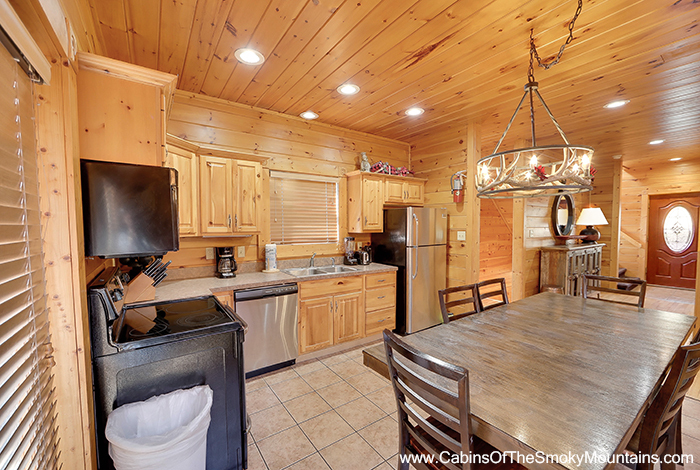 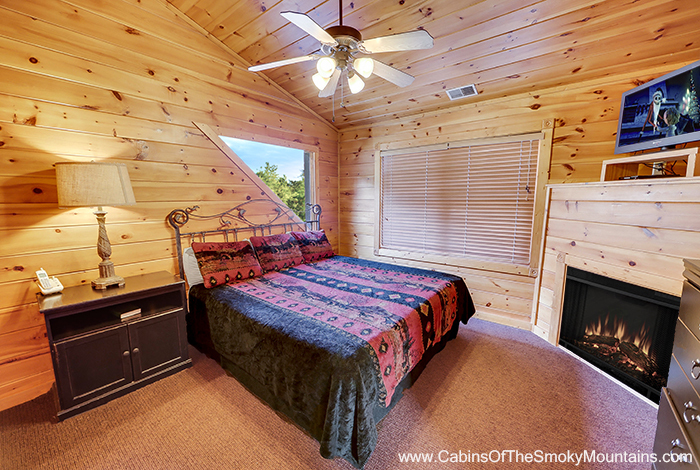 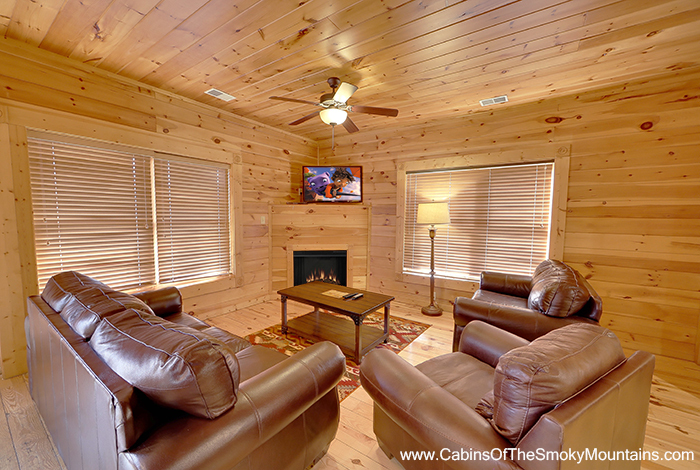 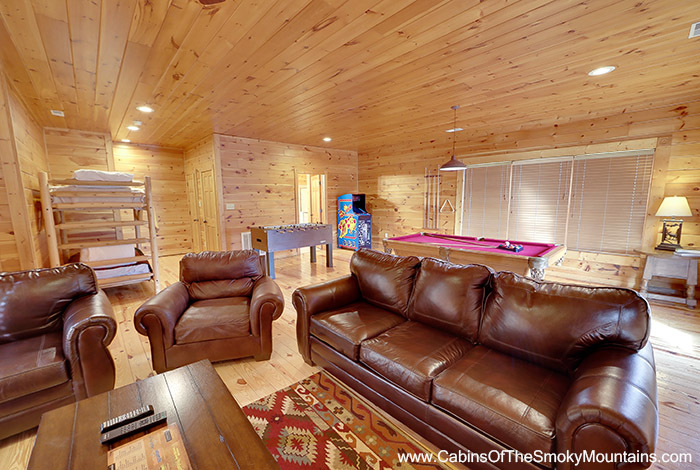 Guests really enjoy the feeling of being tucked away miles back in the mountains although the cabin is located just minutes from the hustle and bustle of downtown Gatlinburg and Pigeon Forge. 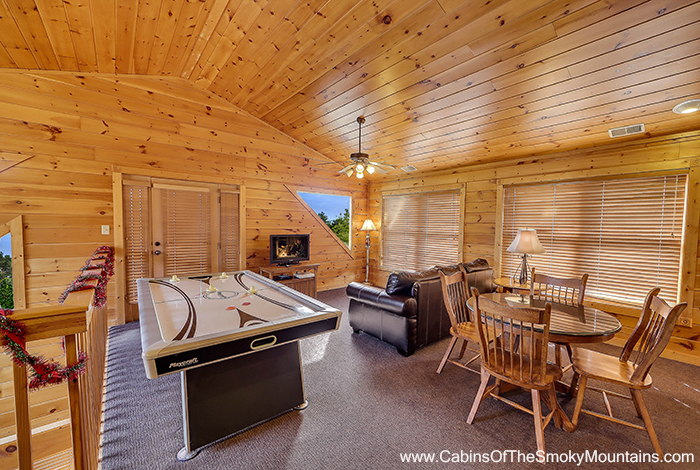 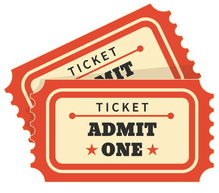 While inside the cabin, enjoy the five TVs with DVD, Pool Table, Air Hockey, Ms. Pac Man/Galaga arcade game, Golden Tee, Xbox 360, and Foosball. 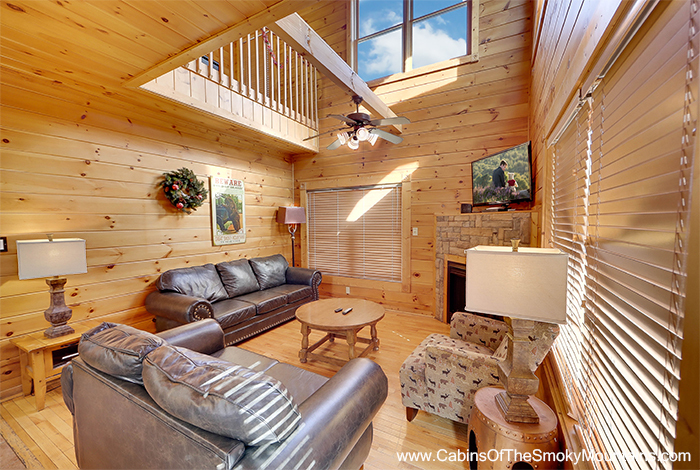 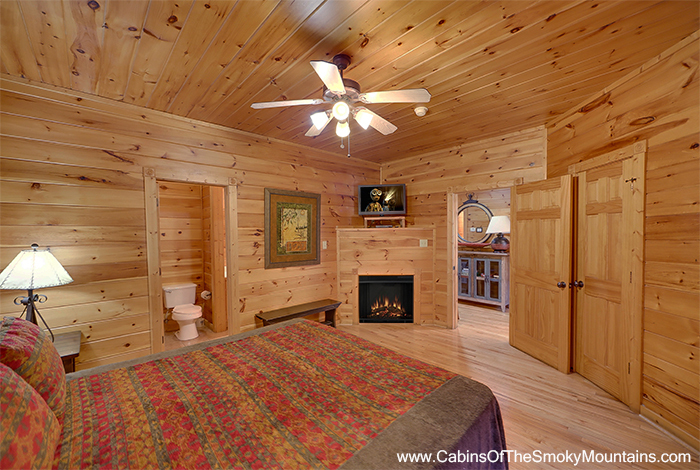 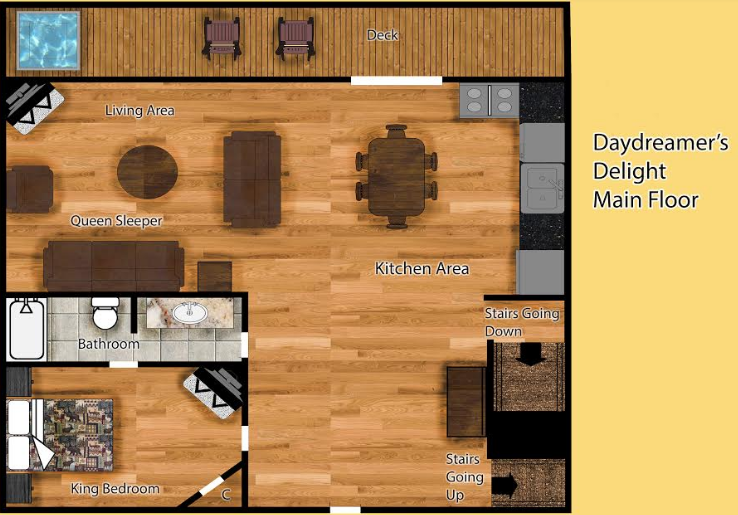 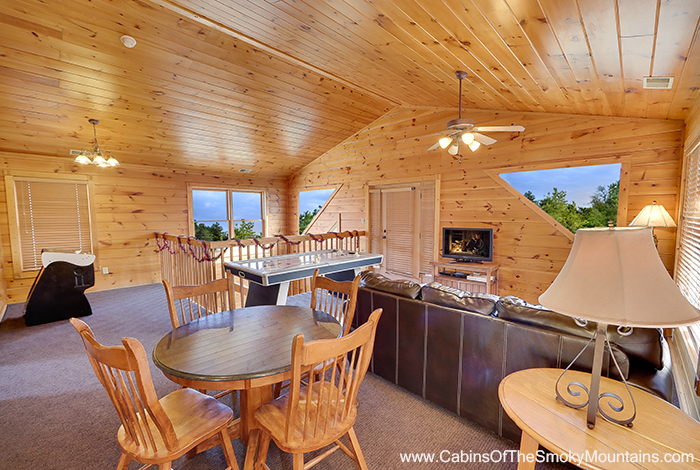 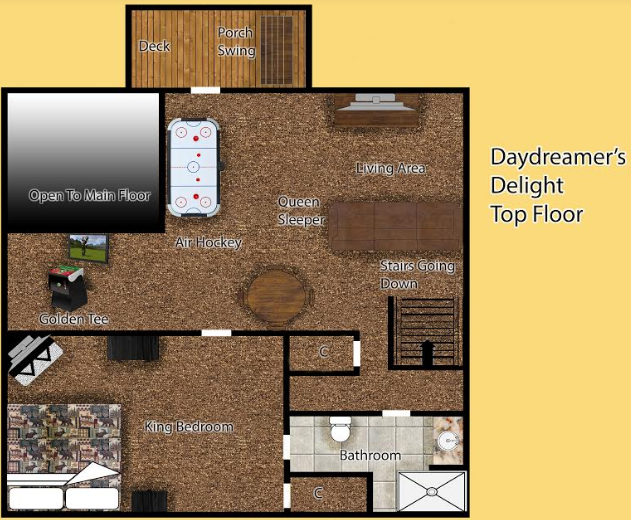 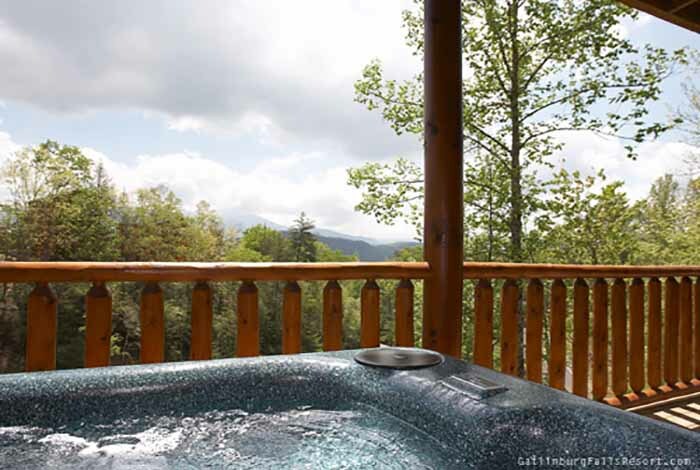 If you have been daydreaming of a perfect Smoky Mountain getaway, look no further than Daydreamer’s Delight.